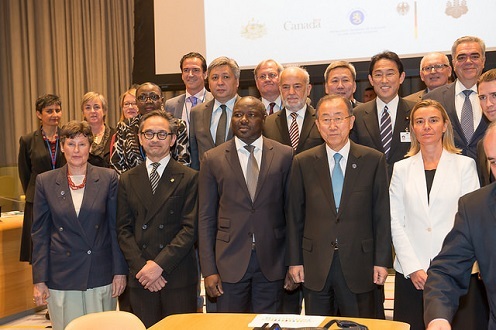 Around 30 foreign ministers and in total representatives from over 90 countries met on Friday 26 September at the UN in New York to issue a joint call for the entry into force of the Comprehensive Nuclear-Test-Ban Treaty (CTBT). The meeting was opened by UN Secretary-General Ban Ki-moon and chaired by Japan’s Foreign Minister Fumio Kishida. Opening statements were also made by United States Secretary of State John Kerry, Germany’s Foreign Minister Frank-Walter Steinmeier and CTBTO Executive Secretary Lassina Zerbo. Hungary was represented by Mr. István Mikola, State Secretary for Security Policy and International Effort.